The Committee held the last tranche of public hearings on the three labour bills, namely: Basic Conditions of Employment Amendment Bill; National Minimum Wage Bill; and Labour Relations Bill. The Free Market Foundation, the Cape Chamber of Commerce and Industry, Labour and Enterprise Policy Research Group (UCT), Moodie & Robertson (Attorneys Notaries and Conveyancers), National Minimum Wage Research Initiative (Wits), and the National Union of Metalworkers of South Africa (NUMSA) made submissions. The Free Market Foundation, in submission, recommended that the envisaged labour laws not be proceeded with. Instead they should be included in a comprehensive response to the call for jobs. In such a comprehensive policy review, government should include not only all existing and proposed labour law and policy, but all other measures that are of direct relevance. Further, there should be a review of laws and policies impacting small business so that it is easier for small business to operate and prosper in general and so that small businesses create more jobs in particular. The aforesaid comprehensive review of measures ought to increase employment and should consider all disincentives to savings and investment, both by local and foreign investors. There are two broad categories of policy available to government if it wants to create jobs. The first was to discontinue measures that discourage and penalise employment, and the second was to implement new measures that encourage and reward employment, including self-employment. Given the priority of job creation, FMF’s proposals were that the existing measures should not be considered for implementation in isolation, but that government should undertake a comprehensive review of relevant laws and policies, and retain only those that reduce unemployment immediately without harming the working conditions, incomes and job security of the employed. The precondition for that to happen is the implementation of laws and policies that increase demand for labour rather than draconian legislation that reduces it. The Labour and Enterprise Policy Research Group, University of Cape Town, said it engaged in a study of how the proposed NMW could be aligned with existing labour legislation, in particular the BCEA, the LRA and the Employment Equity Act. It was noted that the three bills each have a Memorandum of Objectives. Previous memoranda of this kind have provided explanations for the provisions in bills or amendment bills, i.e. they give the reasons for including the provision and often the thinking behind why the provision was included rather than alternatives. This was not the case with the current bills. The memoranda attached to the current bills provided almost no explanation; they merely restate what is in the bills. In their current form these memoranda serve little or no purpose and in certain instances merely cause confusion. The Cape Chamber of Commerce and Industry expressed concern that the three bills will place a significant administrative burden on business, especially small businesses with limited resources. It was also concerned about the Department of Labour’s ability to cope with the increased workload. Regrettably, the Department already has a poor reputation for enforcing the current laws and it was thus difficult to see how it will be able to cope with the implementation of the new harsher and more complicated legislation. There already were minimum wages in some sectors but non-compliance could be as high as 50%. The prospect of improved compliance for the whole of industry rather than just for specific sectors must be even lower. The new minimum wage was likely to lead to job losses as firms reassess their staff requirements and resort to more automation to improve productivity. The biggest problem faced by the country was the growing number of people in the ranks of the unemployed. The Chamber believed that the litmus test for any legislation that could impact on employment was whether the legislation would encourage businesses to employ more people. The country could not afford to go backwards in its attempts to create more jobs and reduce unemployment. The Chamber requested that Parliament consider its submission, in a positive light – thereby ensuring the growth of the local and national economy. Moodie & Robertson, gave a submission on behalf of employer member organisations with 176 000 employees in private security. The law firm represented employers in the National Bargaining Forum. The submission was that the Private Security Industry be granted a transitional dispensation in the NMW Act in respect of Security Officers, so as to enable the Industry to achieve the NMW within a three year period, with a minimised impact on the market, especially in the rural areas of South Africa. The NMW Bill if enacted would have a negative impact on provision of security services owing to: clients being forced to reduce spend on Security Services; reduction in Security Officer numbers/other security related products; reduced ability to provide professional security services; increased opportunity for criminals due to poorer security services; increased use of non-compliant/unprofessional security service providers increasing security risk; and increase in exploitative practices increasing poor moral of Security Officers leading to increase in involvement in crime. Other factors to consider were that industry identified and acted upon intentions of NMW over time by lifting Minimum Wage and reducing areas. Agreements reached by Industry were as a result of robust negotiation and trade-offs which took into consideration complex and often competing factors. As it stood, Security Officers were entitled to numerous benefits / terms and conditions in excess of a minimum wage. The National Minimum Wage Research Initiative, Wits University, indicated that the Research Initiative had engaged extensively on the bills both in formal environments and in the public. The NMW Bill was viewed as a momentous occasion, and this legislation would have a meaningful impact on poverty and inequality if rightly implemented. However, there were critical outstanding weaknesses in the Bills which would result in: offering insufficient protections to workers; failing to take forward either the letter or spirit of decisions taken by the Portfolio Committee; side-lining a number of aspects of the February 2017 national minimum wage NEDLAC agreement between the social partners. There was ample room to correct these weaknesses. The Committee had three options, these being: giving a go-ahead to the National Assembly version as is- which would be the worst outcome; revising the bills- which would be the best outcome; and at the very least, beginning a process to ensure these issues are attended to. NUMSA viewed the three bills not just a declaration of war and an attack against the working class, but as a device to worsen the conditions of organised labour and the working class in general. Therefore, NUMSA rejects all the amendments to the Labour bills. Furthermore, NUMSA did not believe that the working class majority has been properly consulted on these laws which will have a major impact on their lives. These new labour laws will strengthen the power of bosses both in the workplace and in society. These laws had nothing to do with tackling violence in strikes but rather seek to disempower the work force. The state wants to please ratings agencies and international investors who have been calling for labour market reform by attacking the working class and make it easier for them to be exploited in the name of maximization of profits. This was a battle for workers’ survival and NUMSA would continue to mobilize the working class to fight against these changes. Members pointed out that unemployment was a huge challenge which might inadvertently be compounded by implementation of the NMW. Stakeholders were confronted with a catch 22 situation because on the one side workers’ rights needed to be protected, and on the other- certain types of regulations might work against creation of employment opportunities. They asked whether the stakeholders had proposals to protect workers’ rights. What alternatives did they have to protect the working from exploitation? They emphasised that addressing inequality and poverty was paramount. As the situation was being normalised in society, rural areas particularly- where poverty is grinding, should not be forgotten. The Chairperson gave assurances that all the concerns raised would be considered during Committee deliberations. The Department would respond to public comments the following day. The Committee would then have deliberations based on the submissions and responses in August. Mr Temba Nolutshungu, Executive Director, Free Market Foundation, recommended that the envisaged labour laws not be proceeded with. Instead they should be included in a comprehensive response to the call for jobs. In such a comprehensive policy review, government should include not only all existing and proposed labour law and policy, but all other measures that are of direct relevance. Further, there should be a review of laws and policies impacting small business so that it is easier for small business to operate and prosper in general and so that small businesses create more jobs in particular. The aforesaid comprehensive review of measures ought to increase employment and should consider all disincentives to savings and investment, both by local and foreign investors. There are two broad categories of policy available to government if it wants to create jobs. The first was to discontinue measures that discourage and penalise employment, and the second was to implement new measures that encourage and reward employment, including self-employment. 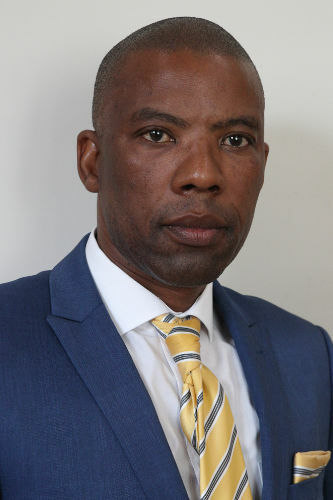 Mr Nolutshungu highlighted the general principles of labour regulation that a government hoping to create employment and prosperity must bear in mind, and commented on the proposed amendments to section 32 of the Labour Relations Act. The proposed legislation was probably unconstitutional, for a number of reasons. The discourse on labour law and policy tends to focus on details at the expense of basic truths. An inescapable fact is that all benefits have costs and that the benefit of mandatory improvements in working conditions, wages and job security are achieved by the imposition on others: fewer jobs, less investment, lower growth, substitution of technology for labour, adverse conditions for the formally unemployed, and retarded prosperity for all. Economic theory predicts and the world’s experience confirms that it is impossible to have the former without the latter, that coercive benefits for a privileged few harms everyone else. The measures necessary to increase employment are mercifully straightforward yet curiously difficult to articulate. Laws and policies that increase the cost, risk and difficulty of employing people, as the proposed measures do, necessarily have benefits for a few at the expense of transformation, the unemployed, SMMEs, and generalised prosperity. Given the priority of job creation, FMF’s proposals were that the existing measures should not be considered for implementation in isolation, but that government should undertake a comprehensive review of relevant laws and policies, and retain only those that reduce unemployment immediately without harming the working conditions, incomes and job security of the employed. The precondition for that to happen is the implementation of laws and policies that increase demand for labour rather than draconian legislation that reduces it. The insertion of a new section 32(2A) states that the Minister must publish a notice of extension within 90 days if the registrar has determined that the parties are sufficiently representative for purposes of section 32(5)(a). However, section 32(5) currently has additional criteria contained in sections 32(5) (b)-(d) which the Minister must satisfy herself of before she may decide to extend or not. It is unclear whether these criteria are still applicable from the wording of the proposed subsection (2A). The intention of the amendment apparently is to set time frames; however, the proposed wording is certain to cause confusion as it is seemingly contradicting the current section 32(5). Furthermore, the insertion of the word “or” between subsections (b) and (c) has the effect that the Minister must in future extend agreements to non-parties in circumstances where only the employer parties or the labour parties to a bargaining council represent the majority of employees, either by way of employment or membership. This amendment flies in the face of the majoritarianism principles which collective bargaining is based on. It is clearly aimed at benefiting large employers at the expense of SMMEs and to protect entrenched interests. The proposed amendment is in all probability as a result of the increasing discontent expressed by employers regarding the current collective bargaining model. However, instead of addressing the cause of the discontent and the underlying issues, the election was made by the Minister to simply paper over the cracks. This amendment will cause even more discontent and FMF believed will lead to further business closure and unemployment as SMMEs, which are subjected to completely different economic realities, cannot survive in an environment where they, in terms of wages and other conditions of employment, are dictated to by big business with the intention of eliminating SMMEs’ competition. Mr W Faber (DA, Northern Cape) pointed out that unemployment was a huge challenge which might inadvertently be compounded by implementation of the NMW. Stakeholders were confronted with a catch 22 situation because on the one side workers’ rights needed to be protected, and on the other- certain types of regulations might work against creation of employment opportunities. He asked whether the FMF had proposals to protect workers’ rights. What alternatives did the Foundation have to protect the working from exploitation? Mr L Magwebu (DA, Eastern Cape) sought clarity about the FMF’s position on the NMW Bill. Was it opposed to the Bill in totality or in its current form? What was its position on the exploitation of workers? The country was at a stage where challenges in the labour market needed to be addressed. Ms L Zwane (ANC, KwaZulu-Natal) said the realities of South Africa’s economic climate needed to be taken into account. Hard decisions had to be taken to do away with exploitation in the work environment. A formula had to be found to ensure that the scope of employment is increased and at the same time exploitation done away with. Members were sympathetic to those people who are unemployed. No government will enjoy an increasing number being unemployed, but there was need to look at that against the number of those who suffer low wages. The Chairperson pointed out that the aim of the NMW Bill was to bring about structural changes in the labour market in an effort to reduce persistent poverty and inequality. He asked for the Foundation’s views on the staggering and widening wage inequalities on the back of its opposition to the NMW. What was its rationale for opposing the current exemption structure? Mr Nolutshungu said the organisation understood what government was trying to do but the reality was people were going to lose jobs. Unemployed people should be given the right to master their own destiny and decide the wages they would be willing to accept when penetrating into the labour market. People were endowed differently and this manifests itself in the incomes which accrue to each individual. He warned that a national minimum wage will jeopardise the jobs of lower-income employees. It would also make it difficult for about 9.4 million unemployed people to get jobs. He called for ‘automatic’ exemption of employers who could not afford the minimum wage based on the number of workers and profit. He lamented that the legislation focused on low-income workers, already in jobs, and not those who were unemployed. He questioned why no urgent commission was appointed to inquire into the high-unemployment rate and find ways to increase real demand for labour. He appealed to Members to introduce economic sanity to this scenario due to the nature of challenges related to unemployment confronting the country. First, the three bills each have a Memorandum of Objectives. Previous memoranda of this kind have provided explanations for the provisions in bills or amendment bills, i.e. they give the reasons for including the provision and often the thinking behind why the provision was included rather than alternatives. This was not the case with the current bills. The memoranda attached to the current bills provided almost no explanation; they merely restate what is in the bills. In their current form these memoranda serve little or no purpose and in certain instances merely cause confusion. These definitions read together imply to work that does not easily accommodate the expanded definition of ‘worker’, which could be a one-off piece of work or very irregular work. The definitions need to be amended to accommodate this irregularity. Section 4(8): The exclusion of the right to strike if there is a unilateral alteration of conditions, etc. The Research Group believed that section 4(8) is problematic for two reasons. First, by making the unilateral altering of wages, hours of work or other conditions of employment in relation to the introduction of the national minimum wage an unfair labour practice, it removes the right to strike in such a situation. Section 64(4) of the Labour Relations Act (LRA) specifically provides for employees to pursue strike action over an employer’s unilateral altering of conditions of employment. Such an option is excluded by section 4(8) with respect to a unilateral change in relation to the introduction of the NMW. Second, sections 191, 193, 194(4) and 195 of the LRA provide that bargaining councils may hear ‘unfair labour practice’ disputes within their jurisdiction. Bargaining councils have the same jurisdiction in respect of section 64(4) disputes. However, this is at odds with the amended section 64(1) (dA), which grants the CCMA exclusive jurisdiction to hear disputes regarding non-compliance with the NMW Act. The application of section 5(2) is in conflict with section 9A of the BCEA Bill, the NEDLAC Agreement, and what was understood to be the final draft Bill that left NEDLAC. The intent of the social partners was to provide for a guaranteed daily wage payment of not less than four hours. This intention is reflected in section 9A of the BCEA Bill. However, section 5(2) of the NMW Bill can be read as directly contradicting the BCEA Bill, thereby defeating its intention that workers are paid a daily minimum so that travel and related expenses are covered. Section 5(2) should be made subject to section 9A of the BCEA Bill. Section 5(3) should also be amended accordingly. The Bill retains SDs, transferring the process to make an SD and the functions of the Employment Conditions Commission to the NMW Commission (NMWC). This implies that the NMWC will deal with the regular review of SDs and increase minimum wages and amend other conditions as required. However, s 51(3) provides that where SD wages are higher than the NMW then they must increase proportionally by the adjustment to the NMW. This will clearly conflict with the NMWCs function to review and adjust SD wages, i.e. there will be two mechanisms to adjust SD wages that could conflict with one another. It also suggests that the Minister of Labour will argue that she does not need to initiate reviews of the SDs because wages will adjust automatically. The implication is that there is no need for the NMWC to do a proper review and amendment of the SD. This would be contrary to the intention of the Bill. Further, the BCEA is not clear on the issue of regular reviews and adjustments to SDs. This needs to be added as a specific power of the NMW Commission, i.e. not just to issue new SDs but to review and update SDs. Otherwise this depends entirely on the Minister of Labour. In line with the aforesaid, the Bill leaves it up to the Minister to trigger an investigation to create a new SD. The Commission should be allowed discretion to do this on its own authority. The amendment is ostensibly intended to ‘protect’ the ability of bargaining councils to extend agreements in the context of declining trade union representativity across the council system. It is not clear that it will achieve its objective. While bargaining councils might continue to exist and can get their agreements extended, in most cases this will be entirely dependent on the majority representation of employers’ organisations. Weakly organised trade unions will therefore be beholden to employers’ organisations on bargaining councils, which they will surely experience in the trade-offs that are likely to be demanded in the collective bargaining process. The Memorandum also makes a distinction with regard to determining representativity between “the majority of employees in the sector or to the scope of application of the agreement. In other words, the principle is now one of coverage rather than strict representativeness.” First, this explanation of what section 32(3) is apparently seeking to do is unclear and confusing. Second, there is no evidence in section 32(3) (or in section 49) of this distinction. The wording of section 32(3)(b) and (c) is effectively the same as the current wording of the section, except for the amendment to make the registrar responsible for this determination. It was anomalous that subsection (a) refers only to employers’ organisations and not trade unions. There should be an equivalent clause for trade unions. Mr Magwebu sought clarity about the Research Group’s in principle position on the NMW. He noted that the submission raised a number of legal technicalities which the Committee might not have time to go through. He suggested that Legal Services be give the mandate to assist the Committee in analysing the issues raised, for consideration at a later stage. Ms Zwane agreed that the submission would need legally trained eyes and Parliamentary Legal Services would be in a better stead to analyse the inputs. Mr E Makue (ANC, Gauteng) pointed out that Members, as legislators, had to subject themselves to democratic practises. However, minority views would also be taken into consideration. He noted the reference to issues raised at NEDLAC. Was the Research Group opposed to the NEDLAC outcomes and had they made efforts to directly engage at NEDLAC as academia? Dr Godfrey indicated the submission was based on a research project which sought to identify areas where there might be friction in the application and implementation of the labour laws. He expressed his willingness to meet with parliamentary legal services to engage on the proposals further. There was need for a balance between what was in the Act and the Regulations. The current architecture was such that there was too much in the Regulations and relatively little in the Act. The balance should be such that the substance is in the Act and the nitty-gritties in the Regulations. 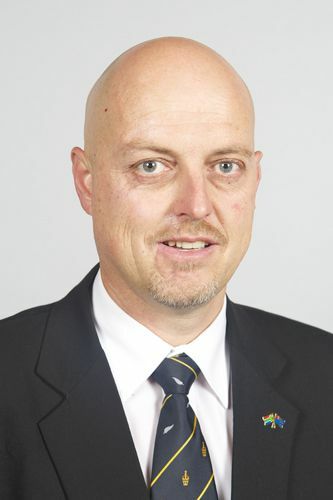 Mr Geoff Jacobs, Council Member, Cape Chamber of Commerce and Industry, said the three bills will place a significant administrative burden on business, especially small businesses with limited resources. 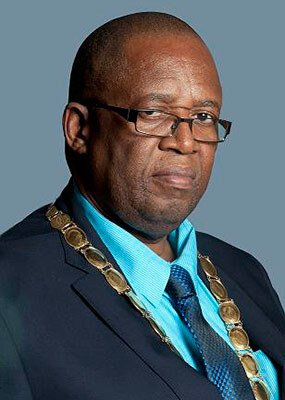 He expressed concern about the Department of Labour’s ability to cope with the increased workload. Regrettably, the Department already has a poor reputation for enforcing the current laws and it was thus difficult to see how it will be able to cope with the implementation of the new harsher and more complicated legislation. There already were minimum wages in some sectors but non-compliance could be as high as 50%. The prospect of improved compliance for the whole of industry rather than just for specific sectors must be even lower. The Chamber expressed concerned about the affordability of increasing Unemployment Insurance Fund (UIF) benefits from 238 to 365 days. Its fear was that it is likely that monthly UIF contributions by both employers and employees would have to be increased. Enlightened policies on maternity and paternity leave were welcome but they, too, came at a cost. Many companies make significant contributions to staff on maternity leave and any small business having to pay benefits to two or three staff at the same time as well as their temporary replacements could find itself in difficulty. Mr Jacobs noted that the NMW legislation does provide for exemptions from the minimum wage but the procedure to obtain exemptions will be lengthy and therefore costly. In particular, the requirements for supporting documentation were onerous, especially the audited documents on the affordability, liquidity and the profitability of the business. In the case of new small businesses with short track records this can be an impossible demand to meet. It is the new small businesses, particularly in the disadvantaged areas, that need to be encouraged and not handicapped with excessive red tape burdens. Given these circumstances, it was likely that struggling entrepreneurs will simply ignore the legislation and employ people at wages they can afford, knowing that it was highly unlikely that they will be discovered by the department’s inspectors. This, in turn, could encourage further disregard for complex but well-meaning legislation. Strikes are a very serious problem in South Africa as they are usually accompanied by intimidation, violence and the destruction of property, something the country can ill-afford as it adds to costs while discouraging both local and overseas investors. The legislation attempts to deal with this problem by creating an advisory arbitration panel that will, on an expedited basis, investigate the cause and circumstances of a strike or lockout. The intention is admirable but there were grave doubts about its success and the ability to make advisory awards in a short time. There was a real risk of unions or employers abusing the process, causing delays and postponements while the pressure continues to build up around the workplace. The risk was that the new process could extend rather than curtail strikes. It must also be taken into account that the new process will only come into effect after a strike has been running for some time and attitudes may have hardened. The new minimum wage was likely to lead to job losses as firms reassess their staff requirements and resort to more automation to improve productivity. The biggest problem faced by the country was the growing number of people in the ranks of the unemployed. The Chamber believed that the litmus test for any legislation that could impact on employment was whether the legislation would encourage businesses to employ more people. The country could not afford to go backwards in its attempts to create more jobs and reduce unemployment. The Chamber requested that Parliament consider its submission, in a positive light – thereby ensuring the growth of the local and national economy. Mr Magwebu felt the Cape Chamber seemed to suggest that if the issues raised were addressed, it would then be agreeable to a NMW. He asked whether they would have any qualms with the NMW if the capacity issues as affecting the Department and CCMA are dealt with. Ms Zwane failed to see the relationship between the NMW and automation as articulated by the Cape Chamber. Whether the minimum wage is introduced or not, the fourth industrial revolution was an obtaining reality, and the biggest threat to jobs. Mr Jacobs replied that the issues raised on the amendment of the legislation had nothing to do with technicalities but had everything to do with the intent of the legislation. The cost, compliance and complexity issues ought to be addressed before the pieces of legislation are implemented. There was need to devise way to fully enforce what already exists and at the same time desisting from a heavy-handed approach in implementation of legislation. He emphasised that affordability was key for the survival of small business such that if costs increase, small businesses would resort to alternatives. The Cape Chamber was not opposed to the NMW per se. At issue was its affordability and implications on the cost of doing business. Mr Chris Laubscher, Attorney, Moodie & Robertson, gave a submission on behalf of employer member organisations with 176 000 employees in private security. The law firm represented employers in the National Bargaining Forum. The submission was that the Private Security Industry be granted a transitional dispensation in the NMW Act in respect of Security Officers, so as to enable the Industry to achieve the NMW within a three year period, with a minimised impact on the market, especially in the rural areas of South Africa. The Private Security Sector has a long history of collective bargaining, with significant self-determined increases in remuneration over the last 10 years. Significant strides towards professionalizing the industry and improving terms and conditions including reducing grades and areas and introducing numerous allowances had also been made, and an application for the registration of a Bargaining Council was granted the previous week. Notably, there had been no strike relating to centralized wage negotiations since 2006, and a substantial increase in terms and conditions of employment and minimum wage- with minimum wage tripling in 10 years. The sector believed the NMW Bill would lead to job losses and business closures, especially pronounced in rural areas due to economy as well as knock on effect on local businesses. The NMW Bill if enacted would have a negative impact on provision of security services owing to: clients being forced to reduce spend on Security Services; reduction in Security Officer numbers/other security related products; reduced ability to provide professional security services; increased opportunity for criminals due to poorer security services; increased use of non-compliant/unprofessional security service providers increasing security risk; and increase in exploitative practices increasing poor moral of Security Officers leading to increase in involvement in crime. Other factors to consider were that industry identified and acted upon intentions of NMW over time by lifting Minimum Wage and reducing areas. Agreements reached by Industry were as a result of robust negotiation and trade-offs which took into consideration complex and often competing factors. As it stood, Security Officers were entitled to numerous benefits / terms and conditions in excess of a minimum wage. Mr Laubscher added that the submission was included in the Employer demands being negotiated with the Unions, and many of Security Association of South Africa members had already commenced consultative processes in terms of Section 189. Mr Makue found it disturbing that the Security Association was using the lowest paid workers as rationale for their members’ difficulty with the NMW Bill. Security Sector workers were at far more risk as compared to farm and domestic workers and this should be appreciated. Some of the issues raised should be discussed with the Department of Labour. He asked if they raised anything new which was not presented before the Portfolio Committee. Dr H Mateme (ANC, Limpopo) emphasised that addressing inequality and poverty was paramount. As the situation was being normalised in society, rural areas particularly- where poverty is grinding, should not be forgotten. Mr Laubscher said the NMW debate came along and disrupted a very well-established process that had been ongoing since 2003. There was a very fine balance in deciding where increases would be awarded. As it stood, the security services sector was faced with a demand of an increase of more than 200% from the unions. This left the employers in a difficult position. He asked for leeway to enable the negotiation processes to conclude and get the balance right. The three year period industry was asking for would enable the sector to assess the impact of the mooted NMW policy. This would avoid a massive shock which might lead to job losses. The policy must be implemented in such a fashion that it does not lead to job losses. The security services themselves were not concerned about their profitability per se but at issue was the impact the NMW Act would have on its clients which were already taking a strain, with some of them already under business rescue. Businesses would simply cut down expenditure on security services because they would not be able to pay for them. The three year period would give the sector room to get the right balance on the various challenges affecting the sector. Dr Gilad Isaacs, Coordinator, National Minimum Wage Research Initiative, Wits University, indicated that the Research Initiative had engaged extensively on the bills both in formal environments and in the public. The NMW Bill was viewed as a momentous occasion, and this legislation would have a meaningful impact on poverty and inequality if rightly implemented. The numerous positives included the following: setting the NMW at an acceptable starting point (R20 per hour) that can be increased over time (subject to qualifications); ensuring universality with appropriate tiers and exemption procedures; excluding non-basic wage payments from the calculation of the NMW; establishing a dedicated body comprised of the social partners to oversee the implementation, monitoring and revision of the NMW; and amendments to the BCEA that recognise the need for better enforcement. Specifying the reduction of poverty and working poverty as a motivating factor for the implementation of the NMW. There was ample room to correct these identified weaknesses. The Committee had three options, these being: giving a go-ahead to the National Assembly version as is- which would be the worst outcome; revising the bills- which would be the best outcome; and at the very least, beginning a process to ensure these issues are attended to. Ms Zwane appreciated the input noting that the issues raised were pertinent. She noted the call for an independent NMW Commission. She asked where the belief that the Commission’s independence might be compromised was stemming from. Mr Magwebu was also not clear where the concern about a non-independent Commission came from. The Commission fell under the Department and therefore Parliament would continue exercising its oversight mandate as per normal. Dr Isaacs said the Research Initiative hoped to see a NMW Commission that would be able to fulfil its mandate and discharge its duties effectively. For this to be possible, it should have own staff and not rely on the Department, to ensure some level of independence. Also, protection of the real value of the NMW overtime should be taken into account. He reiterated that the passing of the NMW Bill would a major step forward although there was still room for improvements. NUMSA rejected compulsory balloting before a strike. It rejected attempts by the government and the Department of Labour (DoL) to tamper with the constitutional right to strike. The introduction of compulsory balloting before a strike is nothing else but an imposition on the limitation on the right to strike. NUMSA called on the government to stop this vicious attack against workers. NUMSA further rejected the compulsory picketing rule which prevents workers from being able to strike if no picketing rules are in place. According to the proposed amendment, if there are no picketing rules in place then workers cannot go on strike. The commissioner can only issue a certificate of non-resolution if the picketing rules are in place. If the employer and the union cannot agree on the rules, then the commissioner will have to decide what those rules are. Advisory Arbitration was rejected. The Arbitration process forces unions to participate in the arbitration process whether we agree with the process or not. The outcome can also be imposed on unions and their members if they do not respond. If unions disagree with the Advisory panel they would have to prove that they used the constitution in opposing the decisions of the panel. This was an attack on their independence as trade unions. The Poverty National Minimum Wage of R20, R18, R15 and R11 per hour was rejected. NUMSA was extremely irritated that the ANC-led government has the guts to take away the constitutional right to strike, which is the last weapon that workers can use to defend themselves against conservative and brutal employers. The right to strike has been used to improve the benefits and conditions of workers. It is a tool to uproot the Apartheid colonial wage, and eradicate the super-exploitation of workers which continues unabated in the South African economy. The very same ANC simultaneously while attacking the constitutional right to strike, is imposing and setting a terrible precedent in the interests of untransformed, racist employers by imposing a Poverty National Minimum Wage (NMW) which is an insult to the majority of workers who are super-exploited and oppressed across all sectors of the economy. On what was to be done, to the extent that the working class is under attack, the immediate expectation of workers from a democratic government that claims to care about their interests, are that government should move with speed and act on the following: The government must ban all labour brokers and all other abusive exploitative practices; guarantee a 40-hour week; abandon any attempts to limit the right to strike; ban employers from being able to use scab labour during strikes; guarantee benefits like paid annual leave; sick leave, maternity and paternity leave; and abandon the insult of the current proposals for a Poverty National Minimum Wage and pave way for a truly genuine Living Wage. In conclusion, these new labour laws will strengthen the power of bosses both in the workplace and in society. These laws had nothing to do with tackling violence in strikes but rather seek to disempower the work force. The state wants to please ratings agencies and international investors who have been calling for labour market reform by attacking the working class and make it easier for them to be exploited in the name of maximization of profits. This was a battle for workers’ survival and NUMSA would continue to mobilize the working class to fight against these changes. The Chairperson said Members could not pose questions to NUMSA due to time constraints owing to a plenary session they were due to attend, unfortunately. He assured NUMSA that all the concerns raised would be considered during Committee deliberations. The Department would respond to public comments the following day. The Committee would then have deliberations based on the submissions and responses in August.